Hemangiomas are benign hamartomas or malformations of the microcirculation which are most often found in the skin and other soft tissues. In the spine, they are most commonly found in the vertebral bodies. Only a few cases of spinal epidural hemangiomas have bene reported, of which most are of the cavernous type [1, 2]. Because MRI-findings are similar, or sometimes identical, to those of other more common epidural masses such as meningioma or schwannoma, pre-operative diagnosis can be challenging. In this article, we describe a rare case of spinal epidural capillary hemangioma in the thoracic spine. This article does not involve research with human/animal participants. This article does not have information that could identify the subject. 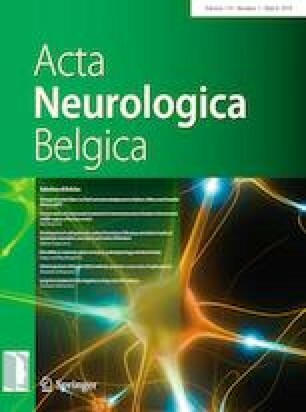 According to the rules of Acta Neurologica Belgica, informed consent is not needed.